These webinars were recorded at the 2012 Association for Preservation Technology International conference, September 30 through October 4, 2012, in Charleston, South Carolina. 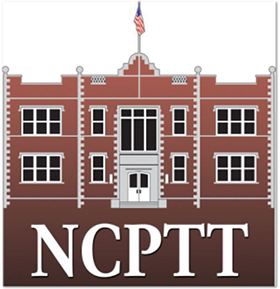 Webinar production is made possible with a grant from the National Center for Preservation Technology and Training. APT is an approved provider with the American Institute of Architects Continuing Education Systems (AIA/CES). If you wish to obtain credit for viewing a session you must provide your AIA number. Enter email addresses for each of the registrants. All will be sent detailed access instructions. There is a fee of $10.00 per registrant. About: Please take a moment to complete our survey. The College of Fellows established this lecture series in 1999 as a tradition to bring internationally known preservationists to APT’s annual Conference. This year, the College considered over 20 international experts for this honor, and Dr. Gerard Lynch was the overwhelming choice to deliver our College of Fellows keynote. This session qualifies for one AIA/CES Learning Unit. Webinar production was made possible with a grant from the National Center for Preservation Technology and Training.